Foredom Double Motor Hanger with MABC-2 Base which screws to top or side of bench. Includes 2 Spring Safety Clips and MAHR-2 Handpiece Rest. 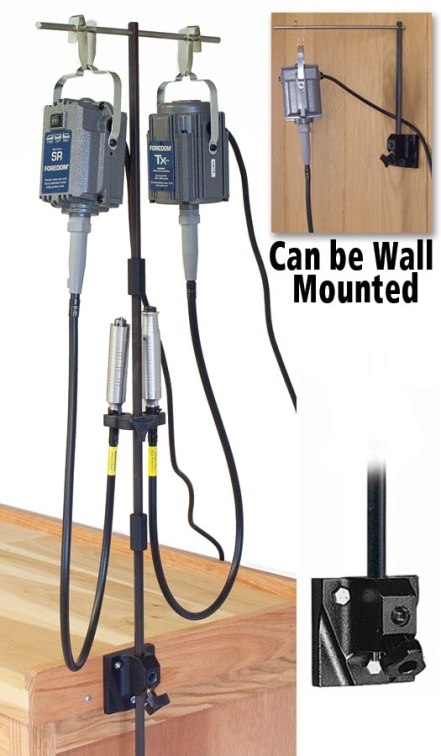 An advantage of this model is that it can be wall mounted by using the top hexagonal support rod to hold a single motor. The Handpiece Rest will not work when the MH2 hanger is mounted on the wall.